Pervez would make a good stand-up comic. What a shameful wish. 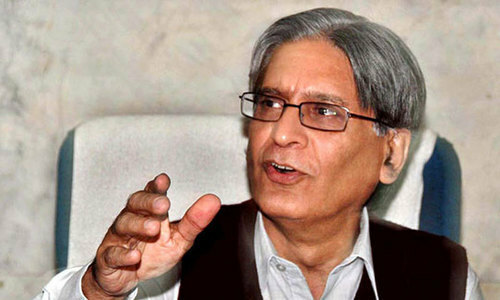 Aitzaz Ahsan should never seek apology from an incarcerated individual. Aitzaz, a seasoned politician, is a better option than Dr. Alvi for all practical purposes. Dr. Alvi, having been reelected on his MNA seat from Karachi, seeks to abandon it for the sake of fulfilling his wishes for a position of power, whereas he should use the opportunity now to do serious work for improving Karachi in general and his constituency in particular, having failed to do so during past 5 years saying he had no funds/power. He can apologize on visitors' day. Perfectly justified. After all the poisonous things that Aitzaz Ahsan has said about the Sharifs, PML(N) should only support him if he apologises. We the people have moved on from Nawaz Sharif, his daughter and their lies and corruption. It is time the politicians did the same. 20% of the 21st century is about to pass and we are no where close to entering it. Such things are bound to happen in a coalition which is based on personal interests instead of principals. Good for PTI candidate. Their views show their mentality. It looks like Nawaz is their Godfather. Shameful and disgusting views nawaz stand nowhere he is proven guilty by courts. There is no chance of PMLN or a PPP president. Those who made Imran Khan the Prime Minister will select a PTI president as well. Can you take 5 years to apologise. The candidate from PML-N is justified as they are in majority. Choosing a candidate from a Mafia party which breaks agreements and bullies others is an unwise decision. Nawaz will only become more powerful with time - jail is a free gift one can award a politician. In the 2013 election campaign, both Sharif brothers vehemently targeted Zardari in their speeches. 'We will drag him in streets of Lahore, Peshawar, Larkana to bring back the looted money' said younger Sharif. Who owes the apology to whom? How one can compare a criminal with a renowned lawyer of great virtue. PMLN is out of brains and loafers are roaming around Adiala in the hope of getting the thief out of jail - this will not be easy!!! The reason PML-N has not submitted a name for the President is because they are still trying to find a candidate who may not have any corruption charges against him. 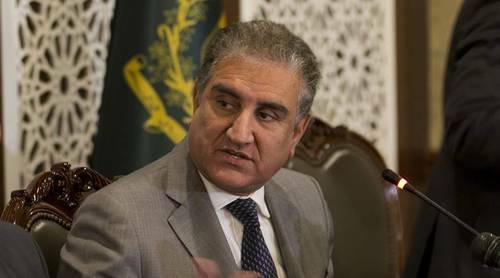 It is a pity that ego comes in a way of electing a great Pakistani to the post of the President of the Islamic Republic. A Much better person than any PML N can put up from their own party. In other words, no Noon support for Aitzaz until further horse trading!! What a joke this PPP Zardari and Noon League is playing with the nation!!! It seems Pervaiz Rasheed is an uneducated person demanding such type of demands he is into dirty politics. These types of characters will fade away very soon for the betterment of our beloved country. 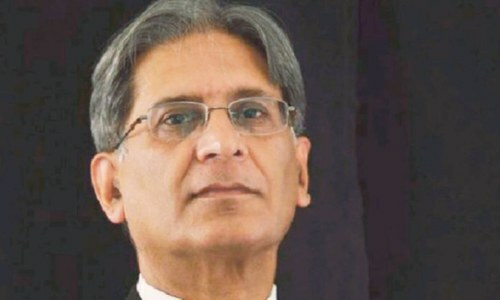 To my knowledge, Mr. Aitzaz Ahsan is a very honorable person, a big lawyer, and one who means what he says. He would be the last person to apologize, bowing to the demand of the M.M.L (N). Though, I have nothing to do the party politics of your respected country. @Hasan So let the seasoned politician apologize to another seasoned politician. Who is stopping him. Definitely he will go and get his pardon from Nawaz sharif. No thanks! We neither want anyone from PPP or anyone associated or friends with a convicted criminal NS. Aitzaz Ahsan will probably pass on it too, simply because it is beneath anyone's dignity to apologize to a convicted criminal and a thief. 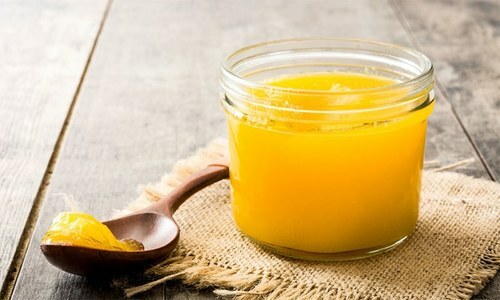 @Hasan - what better option. President is a good-for-nothing position; really a white elephant on tax payers’ money! This is the problem with Pakistani politicians they dont know what is wrong and right. NS is a convicted Crook why are you still defending him. In any other part of the world people would distance themselves from a convicted crook to maintain some credibility for the office they hold. @RUMI is it you ? Agreed. AA should definitely apologise to NS. However, before that NS should apologise to the entire nation. The Pakistani stock market would crash if he did such a thing. How clever these Sharifs are! 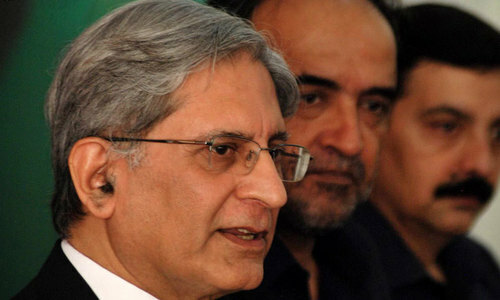 They expect Aitazaz Ahsan to say "sorry" for PML-N to merely CONSIDER him as a nominee for the post of President. PML-N can then say "No". PML-N does know how to negotiate! If I was Nawaz I would never trust Zardari. Can someone remind me a single positive discussion from the opposition parties on the challenges faced by the country and its people. Pml is the worst party ever for Pakistan. They are traitor. Pervez Rashid got up this morning on wrong side of the bed as he is talking like a delusional person.Asking Aitzaz Ahsan to apologize from a convicted criminal is mind boggling.The fact is Nawaz Shareef his sons and many other family members collectively owe an apology to entire nation and return the looted money to the national treasury. Self centered, opportunist should never become the President of Pakistan. PML N will be hammering the last nail by supporting this crook. In fact the days of all these so called politicians are over. They all going to fade away whether they work together or not. In fact PML N if want to have any respect they need to support majority party nominated candidate or stay out of the race. I will say it will be shameful day if Aitzaz becomes the President. Voting Aitzaz is as good as voting Zardari for the President. Does the personal ego more important than the national politics? Why should Atizaz Ahsan apologize to Nawaz Sharif? AA spoke the truth based on NS's conviction and his corrupt activities. Apologise for not calling him the most corrupt politician in Pakistan's history. Even more corrupt than his own boss, Asif Ali Zardari. @Ahmed bin Babar N Leagues are Black Mailers. No matter what Ahsan should not be supported by PML-N.
and the goons of PPP? By the way I am not supporter of PML-N.
A fine way to lose ones credibility just for few years of seat. Dr Qadeer should be nominated by all parties. Atizaz Ahsan must never apologize to PML-N. NS and his party are now the party of losers. @Chaya You can say that again. Is there any person in politics who does not need to apologize?